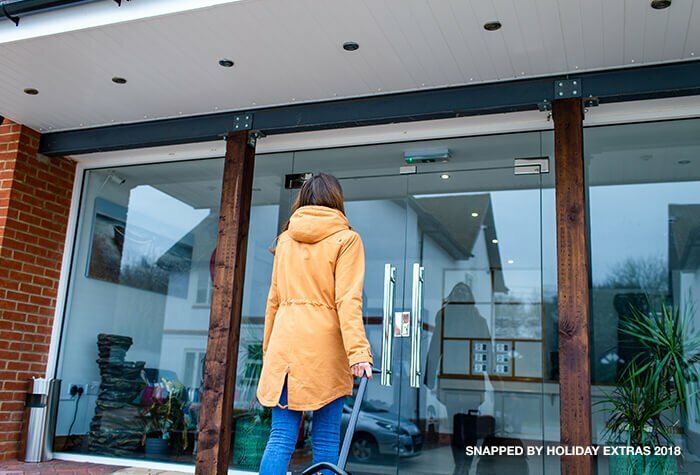 If you're looking for a comfortable, no-frills Stansted airport hotel, that won't make a dent in your holiday budget, the Airport Lodge might be just what you're looking for. 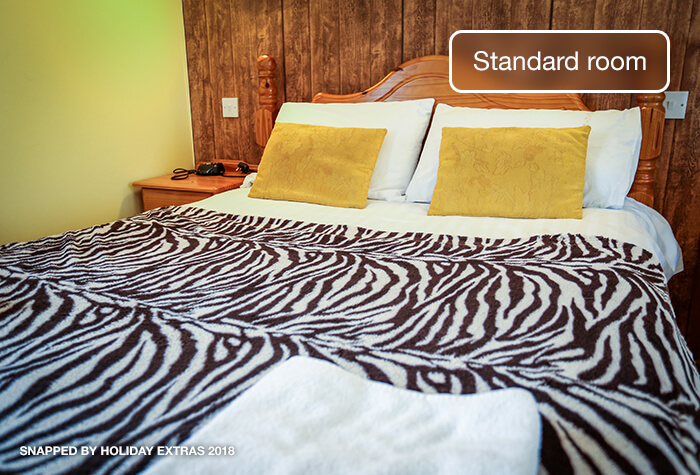 The hotel offers clean and spacious rooms featuring all the homely essentials like TV, wifi, and hot drinks tray. There isn't a restaurant on-site however there is a pub just down the road (5-10 minute walk) and a service station 5 minutes away by car. To set you up nicely for your flight tuck into a free continental breakfast. From the hotel to the terminal it's a simple 10 minute drive. The parking was good apart from the fact that the 'meet and greet' team had no record of our booking, however, they dealt with us professionally and chased up the payment. 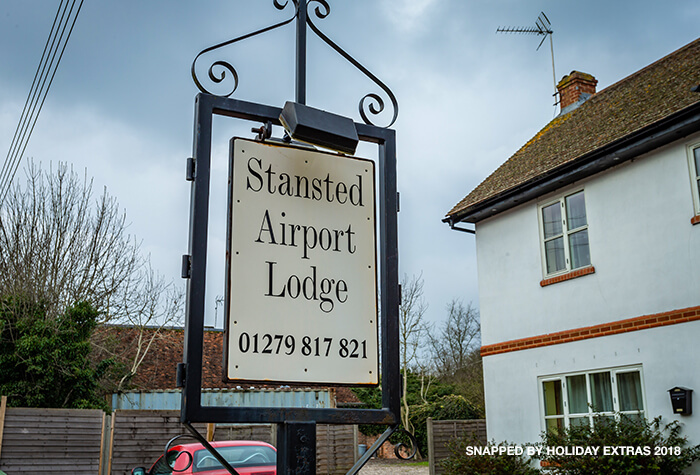 The Stansted Lodge Hotel was awful, there was no one on reception when we arrived, we had to phone the number left on the desk and wait for 20 minutes for someone to arrive. The room was REALLY basic, in the first room the TV didn't work so they moved us. 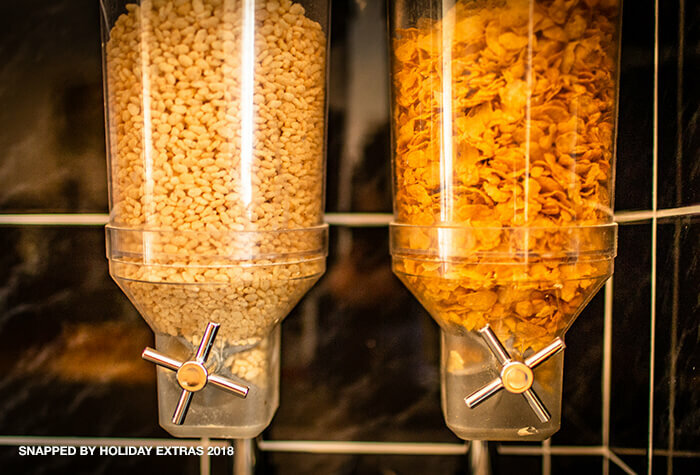 In the second room one of the pillowcases was wet , there was dried in stains on the mattress, and the breakfast consisted of cereal, bread (very little of), and marmalade, and yet again, no staff member. All in all it was a very meagre experience and not one we would recommend. We would definitely book 'meet and greet' again but never the Stansted Lodge Hotel! Some confusion over which button to press at the car park entry barrier, but helpful staff sorted us out via the intercom. Hotel was fine and great to have breakfast available from. The hotel was easy to get to by car or bus but check in time online said 3pm yet no staff were there until we called the emergency number at reception and no one arrive until 4pm. There was a sign on the reception desk saying it was not staffed until 6pm but I called in the morning to check the check in time and was not informed that there would be any issues checking in. The man who did arrive was friendly and explained we could eat at the restaurant or he would drive us to another one connected with the hotel. Breakfast was available at 4am when we checked out. The room was nice but lots of spiders and a bit of mould by the windows. There isn't anything around the hotel and WiFi was not good so I wouldn't go as early as I did again. 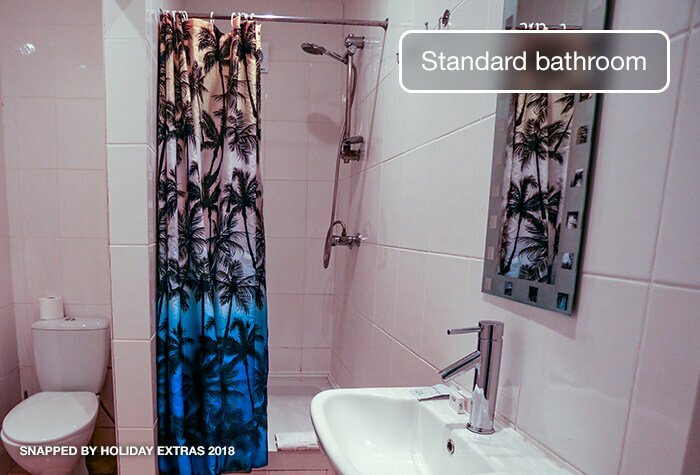 Good price and facilities for an airport stay though. 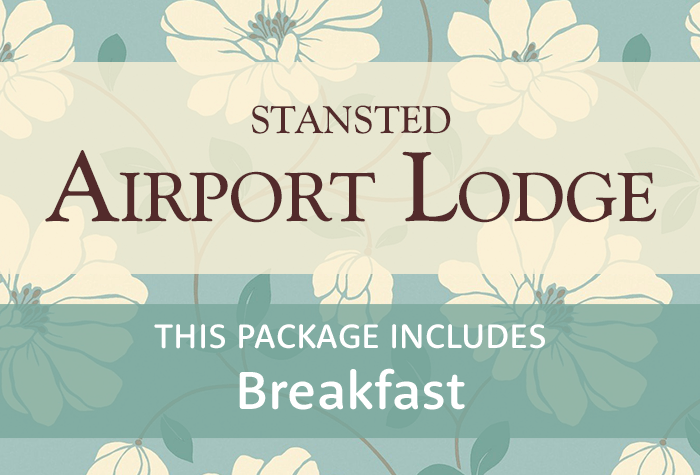 Our customers rated Airport Lodge Stansted on average 8/10 (4 reviews). 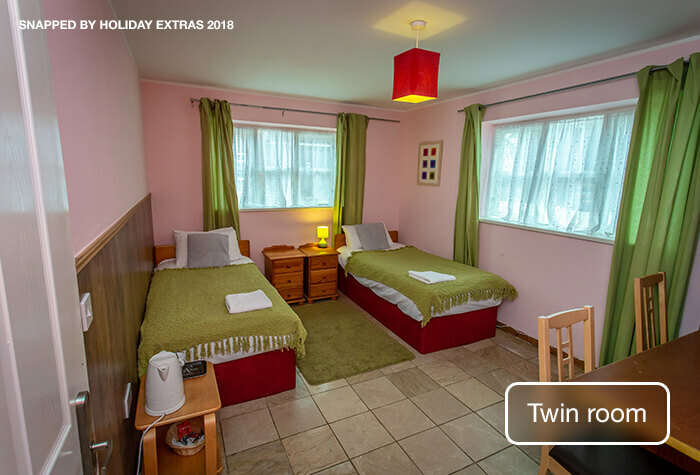 Read Airport Lodge Stansted reviews. You can check in to the hotel from 3pm. Overnight parking at the hotel is included in the price. - Exit the M11 on Junction 8, towards Bishops Stortford. - At the roundabout take the 5th exit onto Dunmow Road/B1256 and the hotel will be on your left-hand side. You need to check out of the hotel by 11am. When you're ready to fly just you can book a taxi to the airport at reception. They are available 24 hours a day, take 10 minutes and cost between £12-£15 per car. Travel to the hotel well give you directions in your confirmation email, and a postcode for satnavs if youre driving. Overnight parking at the hotel is free if you need it. 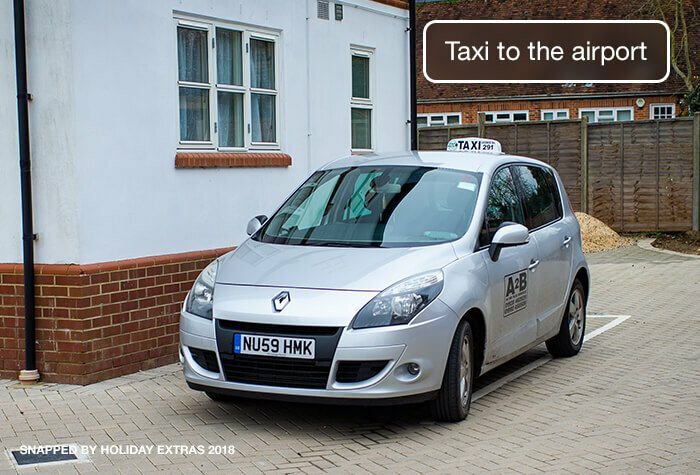 You can book a taxi to the airport at reception. It costs £12-£15 per car, takes 10 minutes and is available 24 hours a day. Disabled facilities The hotel doesn't have any disabled facilities, but rooms on the ground floor are available. 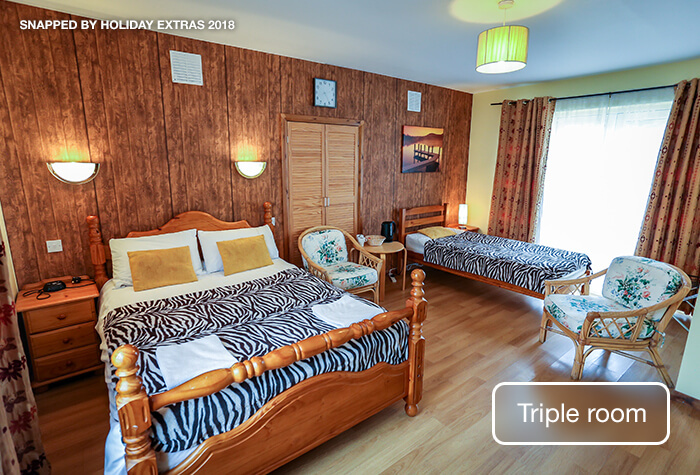 If you would like to request one of these rooms please call Holiday Extras before booking.